The ASRAAM (Advanced Short Range Air-to-Air Missile) is developed by MBDA UK. Image courtesy of Stahlkocher. The ASRAAM missile has a length of 2.9m. RAF/MOD Crown Copyright. ASRAAM is in service with RAF's Tornado and Eurofighter Typhoon combat aircraft. RAF/MOD Crown Copyright. ASRAAM entered into service with the Royal Australian Air Force in August 2004. ASRAAM (Advanced Short Range Air-to-Air Missile) is the next generation infrared-guided missile designed and built by MBDA UK (formerly Matra BAe Dynamics) to provide enhanced aerial combat capabilities for fighter aircraft. The ASRAAM missile can be deployed to engage targets within visual range (WVR) combat operations. It offers high speed and exceptional agility during its flight time. It is capable of engaging targets under complex environmental conditions and is compatible with aircraft armed with Sidewinder or AMRAAM missiles. The air combat missile was deployed by the UK Royal Air Force (RAF) during the Gulf conflict in 2003. It was integrated onto the RAF’s Eurofighter Typhoon and Tornado GR4 aircraft under Operation Unified Protector. The missile is also in service with the Royal Australian Air Force (RAAF) aboard F/A-18 Hornet fighter aircraft. It will also be fixed to the RAF’s F-35 Lightning II Joint Strike Fighter (JSF) aircraft. MBDA UK was awarded a contract by the RAAF for the development of ASRAAM missiles for its F/A-18 fighters in November 1998. The missile was demonstrated at DSEi (Defence Security and Equipment International) 2001 exhibition in London. The RAAF’s F/A-18 Hornet fighter aircraft successfully test fired the ASRAAM for the first time in November 2000, making it the first US-built aircraft to deploy European air-to-air missile. The missile entered into service with the RAAF’s Air Combat Group in August 2004. The F/A-18 aircraft performed ‘lock after launch’ firing of an ASRAAM missile in March 2009. MBDA UK was awarded a contract by the UK Ministry of Defence to provide ASRAAM missile for deployment on RAF’s Tornado and Typhoon combat aircraft. The missile entered into service as the primary missile of Tornado F3 long-range air defence fighter aircraft in January 2002. The RAF’s Typhoon F2 aircraft successfully fired the 100th ASRAAM in March 2007. 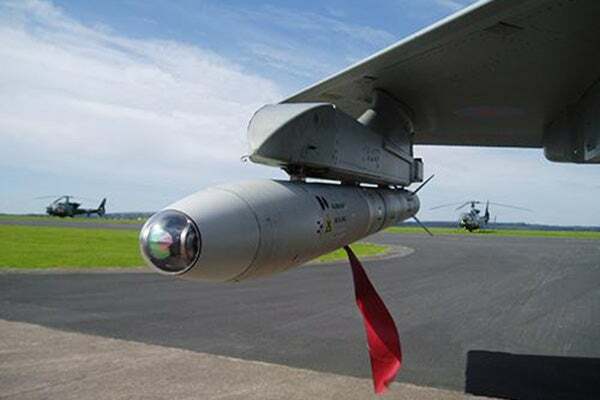 In October 2014, the RAF signed a contract with MBDA to receive support infrastructure and maintenance services for ASRAAM for five years until 2019. MBDA signed a $428m contract with Indian Defence Ministry to provide ASRAAM missile for deployment onto the Indian Air Force’ SEPECAT Jaguar aircraft in July 2014. The ASRAAM air-to-air missile can outperform all existing short-range missiles in close-in combat missions. It features low-drag design concept incorporating body lift technology. The tail-controlled missile measures 2.9m in length, 166mm in diameter and 88kg in weight. It is fitted with high-explosive blast fragmentation warhead with impact and laser proximity fuses. The missile is also equipped with seeker detector cooling and self contained cooling engine. The missile can be deployed using lock before launch capability to engage targets in the forward hemisphere. It can be launched in ‘lock after launch’ mode to engage targets beyond the seeker acquisition range. "The missile collects the target data using fibre optic gyro sensors and solid state accelerometers, stabilised in three axes." The missile gathers target positional data from aircraft sensors including radar or helmet mounted sight during close-in combat missions when target is located outside the off-boresight and visual limits of seeker. This capability ensures the aircraft’s crew to perform over-the-shoulder firing in ‘lock after launch’ mode. The ASRAAM weapon is guided by an advanced, accurate focal plane array Imaging Infra-Red (IIR) seeker developed by Raytheon. The passive homing guidance system provides the ability to significantly track, acquire and engage targets beyond visual range (BVR) under severe clutter and countermeasures environmental situations. The missile collects the target data using fibre optic gyro sensors and solid state accelerometers, stabilised in three axes. It can also gather target information from autonomous infrared search and track system. A low signature rocket motor is fitted to drive the ASRAAM short range missile. It provides superior acceleration and range throughout the flight. The motor also allows ASRAAM to quickly intercept any target and gives it a speed of about Mach 3.